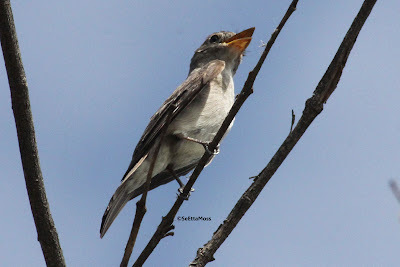 Ok, so now we are considering wood-pewee. 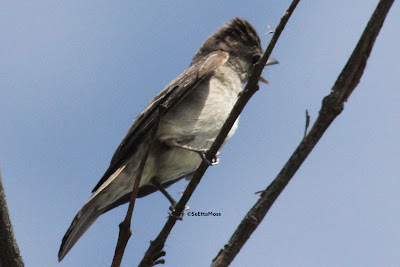 Below is a Western Wood-Pewee I photographed this morning, actually within 50 feet of where I photographed the bird above yesterday. 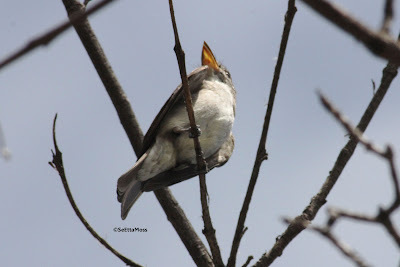 Birds of North America online describes W Wood-Pewee bills: "Upper mandible is black; lower mandible is mostly black, or black-tipped, pale toward base. 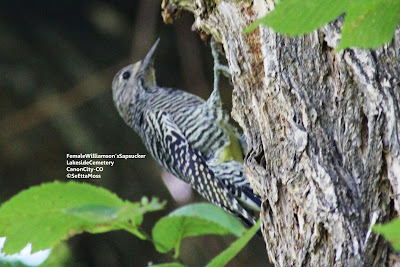 Gape yellow". 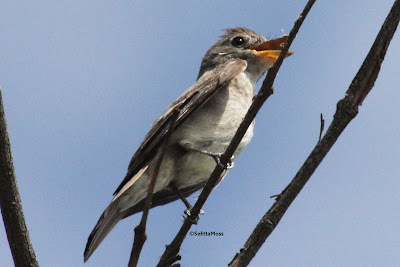 That is my experience and what the photo below of a Western Wood-Pewee shows. 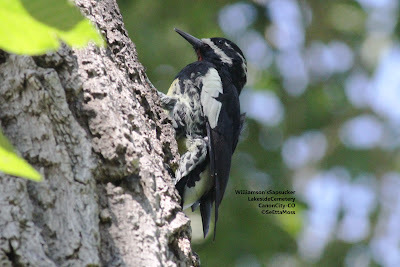 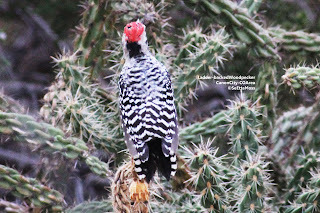 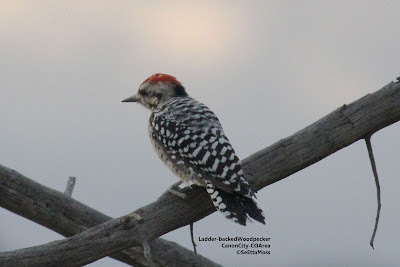 Male Williamson's Sapsucker, why are you here? 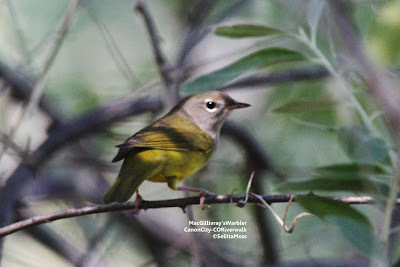 Yesterday I spotted this female McGillivray's Warbler in the vegetation adjacent to the Arkansas River along the Canon City Riverwalk. 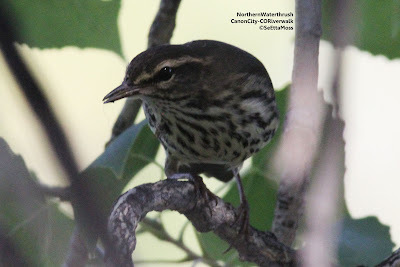 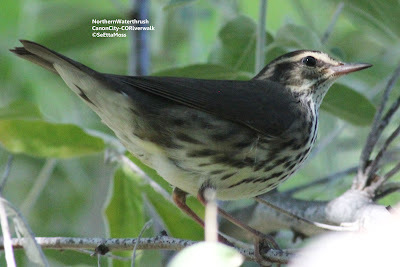 Today I found a female MacGillivray's Warbler in the same location so I expect it is the same bird that is making a stop-over to fuel up on insects before continuing her migration.